EASTER BANK HOLIDAY CLOSURE - Please note the Surgery will be closed on Good Friday and Easter Monday. The Surgery is currently undergoing IT and building improvements. Please bear with us at this time and we apologise for any disruption caused. 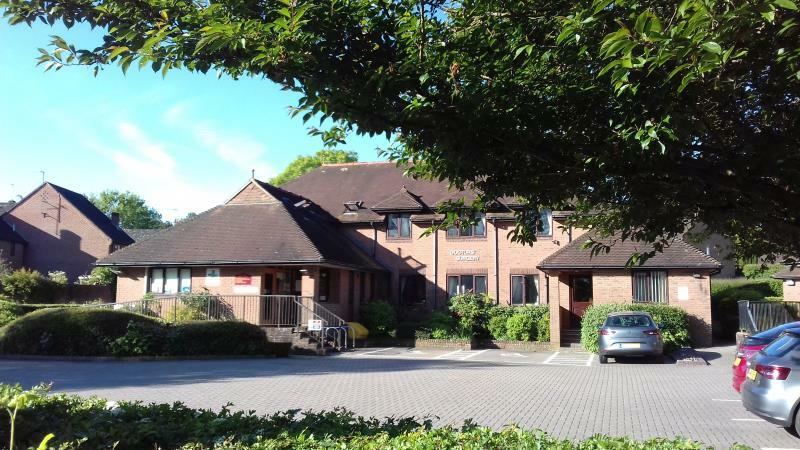 Walford Mill Medical Centre is a long established Wimborne practice and our aim is to provide a high standard of service for our patients, based on traditional values of family medicine. We have designed this website to help you get the most out of our surgery by informing you of the services we offer. Walford Mill Medical Centre is a purpose-built Doctors’ Surgery. It is situated in a picturesque part of Wimborne adjacent to Walford Mill and the River Allen. The surgery is sympathetically designed to be in keeping with its surroundings and is equipped to the highest standards so that we can ensure the best possible medical care for our patients. We have five consulting suites, two nurses’ treatment rooms, an adjoining pharmacy and spacious patient waiting area. There is ample car parking at the Medical Centre and in the adjacent Walford Mill Craft Centre public car park. We have a dedicated team of healthcare professionals who are on hand to help with any problems, backed up by a dedicated team of receptionists and administrative staff. We share your medical records with other services treating you. For full details, please see our page on your personal data. For more information please see documents below. Connecting your care. What does this mean for you?